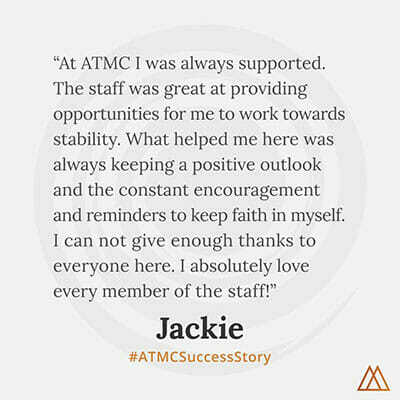 This entry was posted in Mental Health, Success Story on November 2, 2014 by ATMC Team. No longer afraid of the night. I’m able to go back to sleep if I wake up early. Finally am getting relief from absolutely constant anxiety. Around people who understand where I’m at, what I’ve been through and sympathize. There are people around me who know how to help me – I no longer feel there’s no help. Learning to express how I feel and what I need, even though the fear is great. Feeling well enough to get out and walk places.